Finance Committee Chairman MK Moshe Gafni (United Torah Judaism) announced Tuesday the transfer of funds for the activities of Magen David Adom (MDA) in Judea and Samaria. MK Bezalel Smotrich (Jewish Home), who in recent weeks led the campaign to transfer the funds, said, "This crisis never should have happened. There is no excuse that justifies playing with human life. 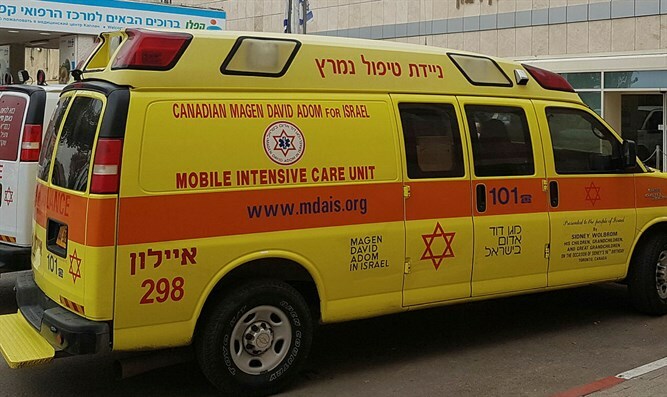 MK Gafni had delayed transfer of the MDA budget in protest of the fact that the organization does not share information with the haredi emergency medical organization United Hatzalah. Gafni said last night during conversations with Justice Minister Ayelet Shaked and Coalition Chairman David Amsalem that, in comprehensive meetings to be held in the upcoming period, the issue of information-sharing would also be regulated. "Human life is being harmed in Israel every day because of this crime, which does not provide life-saving information to professional medics who seek to save lives without compensation." Gafni demands that, along with budget allocations for MDA activities in Judea and Samaria, budget for United Hatzalah also be transferred. Gafni, as stated, requests that United Hatzalah receive regular information from MDA about emergency events.